Promotional Paper Mate Pens - Get your logo on InkJoy 300ST Pens. Apps are cheap marketing gifts, advertising & promotional products. 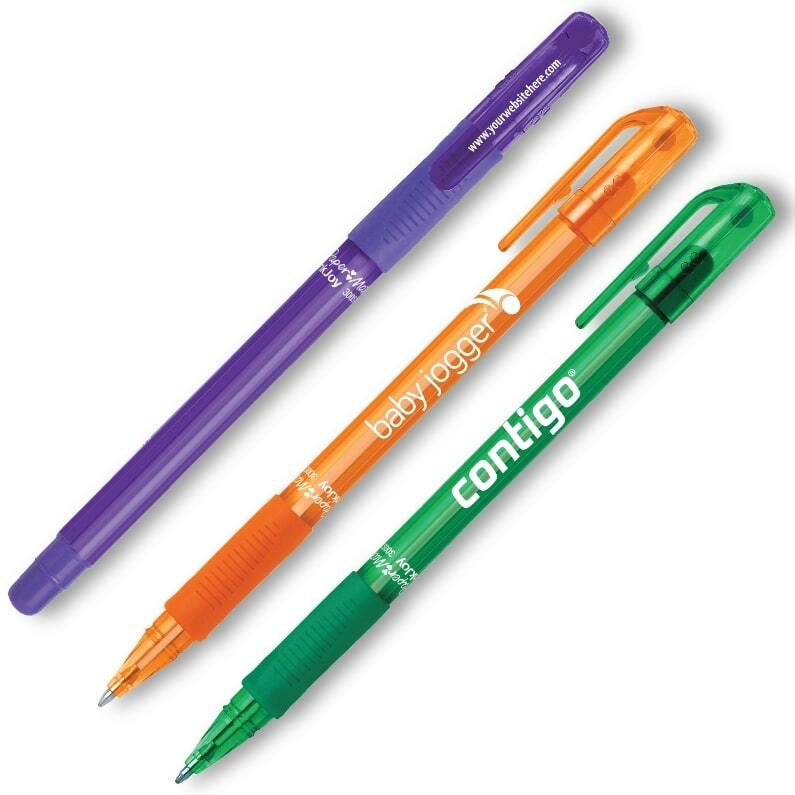 Unique promotional pen w/ your logo printed, stick design, gripper. Offering 9 pen colors to match your logo & 10 Ink Joy ink colors. A unique pen customized for quality cheap promotional items. Smooth writing guaranteed with every stroke of this ink pen. Bulk order Ink Joy Pens. Delivery is 7 to 10 business days. Price includes a one color imprint on barrel 2" w x 15/16" h.
For clip imprint add $.10 each 15/16" w x 1/8" h.
We have a client that expects low cost and quality promotional products. Found it on PII. The InkJoy 300 ST Pen. Matching translucent blue pen with blue ink. Needless to say this pen writes like a Joy and our client was very pleased with the logo printing as well. We highly recommend Paper Mate InkJoy Pens and Promotional Items for their great service at a cheap cost.